2. 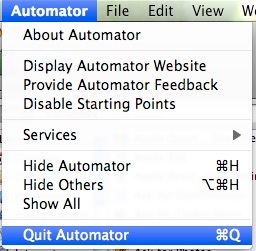 You need Automator which you find in your Applications folder. 4. I last tested this with Mac OS X 10.6.6 and iWeb 3.0.3 from iLife ‘11. 5. If you use FTP, which you likely need, now MobileMe has closed, you need an FTP app. 6. Money back guarantee. Should you not be satisfied just ask me for a refund. When you have paid you receive the download link via email. There are several cosmetic changes and I will update the screen shots. The current version will still work. If you use Mac OS 10.6 continue reading the instructions updated for Snow Leopard. Otherwise continue below. I last tested this with Mac OS 10.6.6 and iWeb 3.0.3 from iLife 11. This software does not change anything you have in iWeb. You publish web pages from iWeb and run the Add Google Analytics” to add the code to the pages you published. Should you decide to not have Google Analytics code on your web pages, you choose “Publish Entire Site” and all your published web pages will be without Analytics code. Start Automator - it makes a new empty Workflow for you. 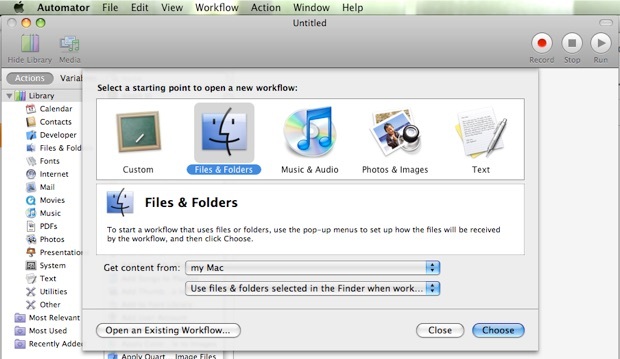 Pick the “Use Files & folders” option in the Finder when....” option. 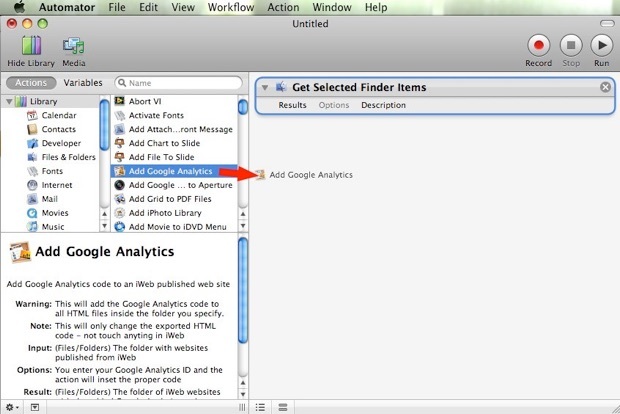 Find the “Add Google Analytics Action and drag it into your Workflow area. You publish to a folder and upload, with your favorite FTP application, to an other web hosting service.